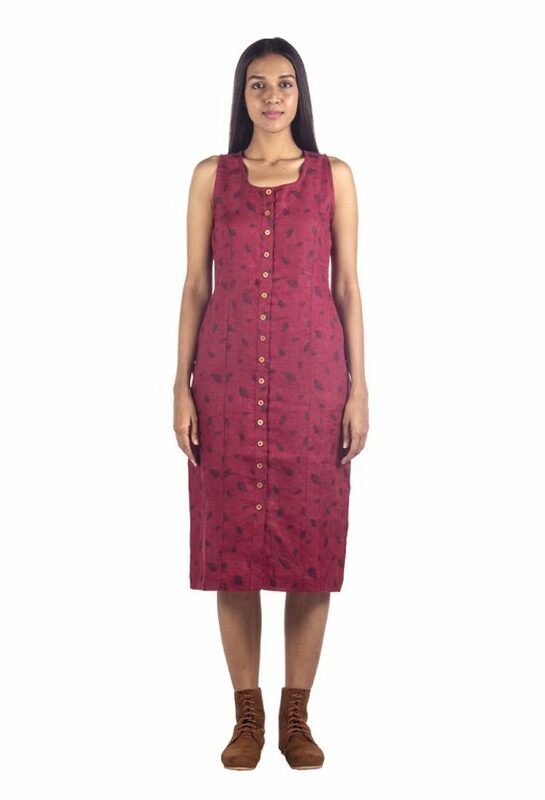 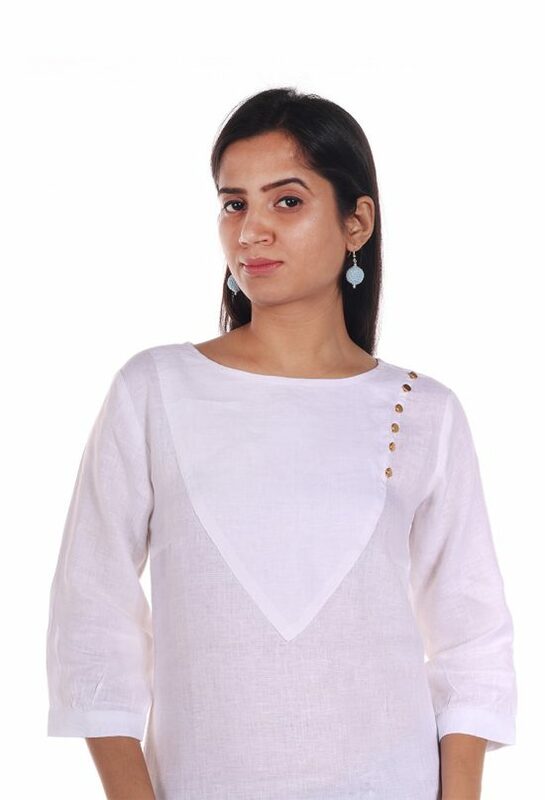 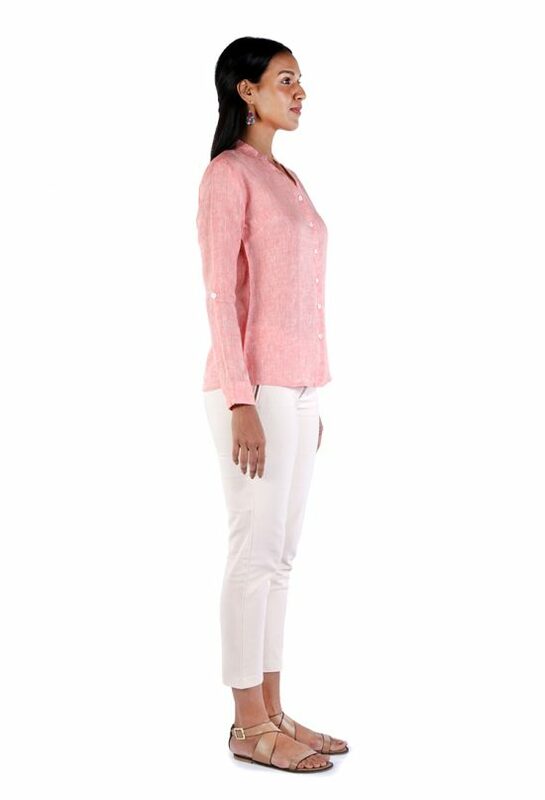 This comfortable linen kurti top has linear pintucking on the front that accentuates its pretty modern look. 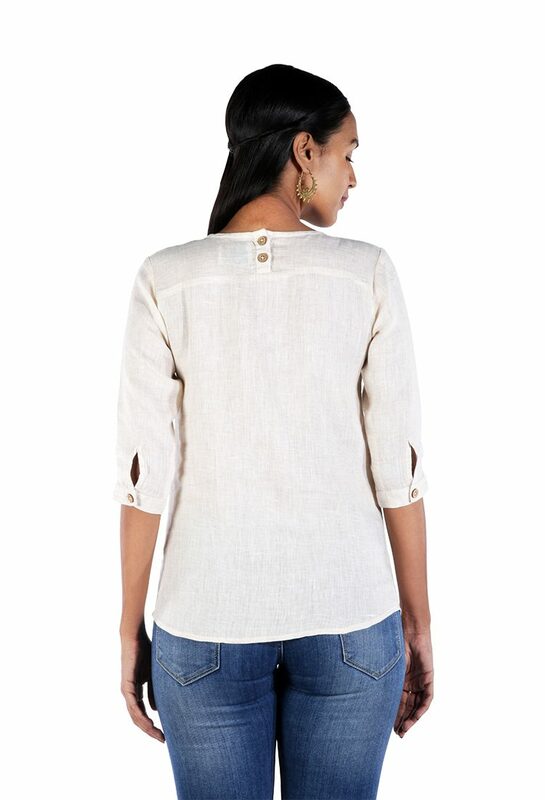 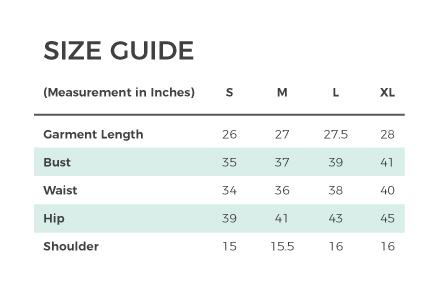 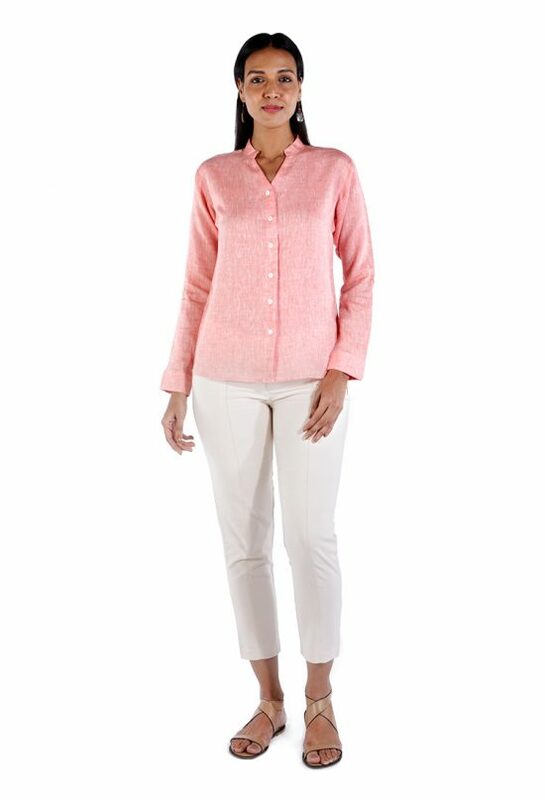 It is tailored with a round neck, three-quarter sleeve and a curved hem. 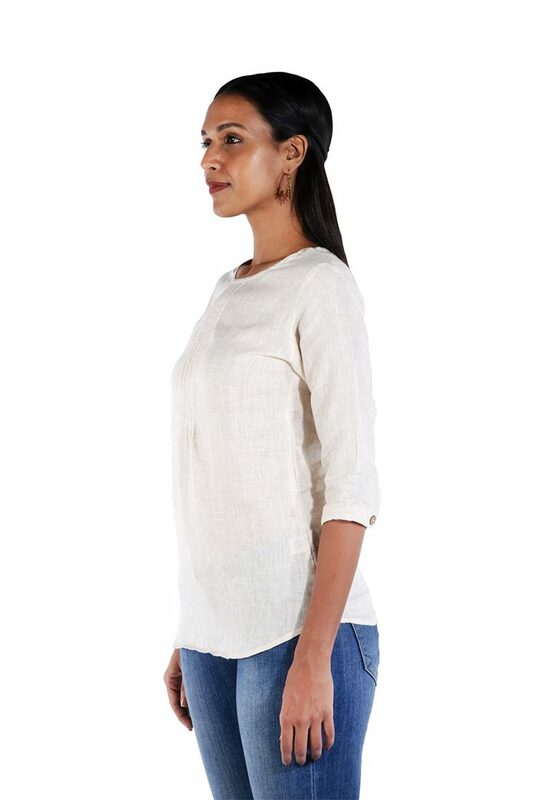 This comfortable linen kurti top has linear pintucking on the front that accentuates its pretty modern look. 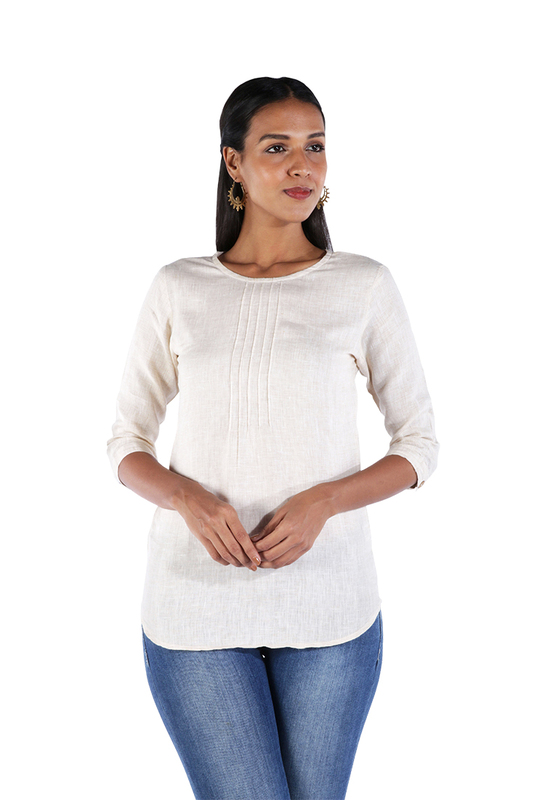 It is tailored with a round neck, three-quarter sleeve and a curved hem. 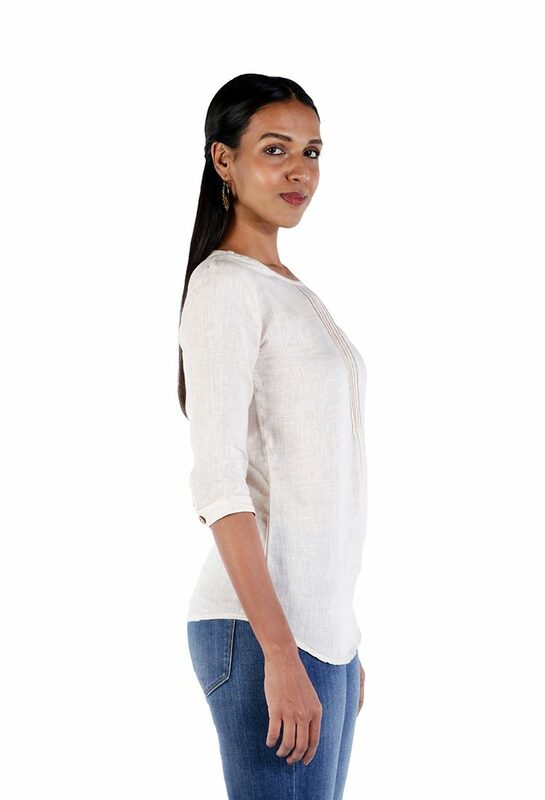 Pair this with jeans and Kolhapuris to get that classic look.